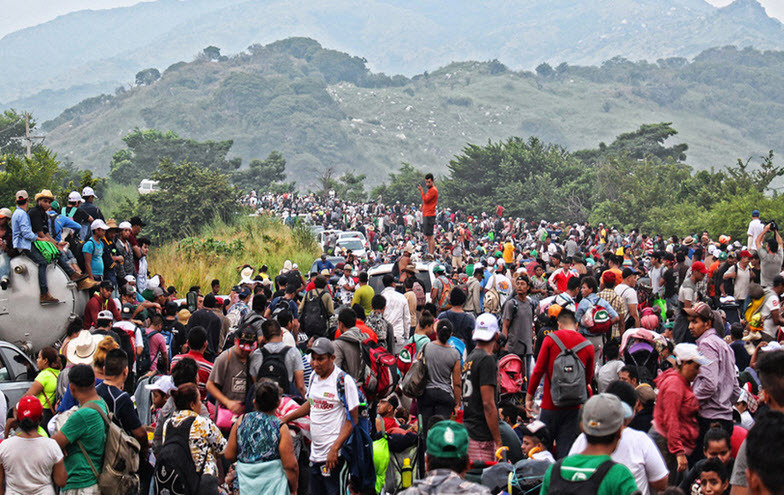 Thousands of migrants began walking from Central America, through Mexico, in the so called "migrant caravan", in a quest to gain safety and security in the US. Their journey soon became a flashpoint. They were welcomed and accommodated in tiny pueblos (towns) like Santiago Niltepec in Oaxaca state and in the megalopolis of Mexico City, and verbally abused and tear-gassed in Tijuana. Their story, exploited by Donald Trump before the November mid-terms powerfully demonstrates the tensions, failures, and potential of current global migration policy. After the caravan’s arrival to Mexico City, I spoke with some of the men, women and children who were being accommodated in the sports stadium to the west of the city centre. One man, 38-year-old Henry Vargas Portillo, from Guatemala, told me that he planned to stay in Mexico City instead of heading for the US border. "Here in Mexico the people have behaved so well towards us. They've given us something to eat and a place to sleep, and many people have donated money."